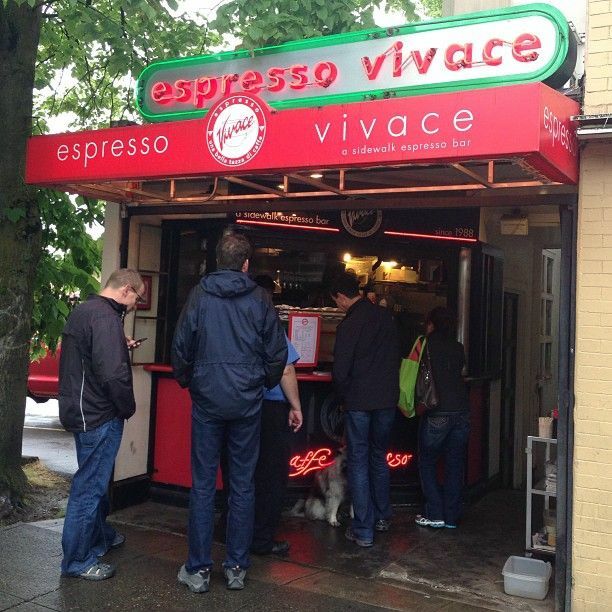 Seattle is the birthplace of coffee shops. It’s widely known for its range of brewed and pressed coffee. 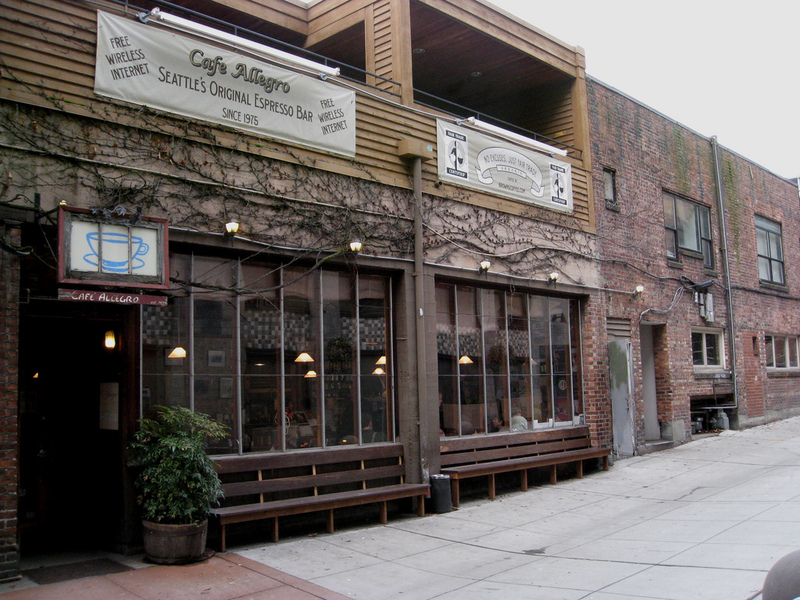 In Seattle sits the oldest coffee shop, Café Allegro, which opened in 1975. Café Allegro helped spawn the United States coffee culture, creating such iconic labels as Starbucks. Café Allegro was the prototype of Starbucks, but its style was Bohemian and there were no coffee beans or merchandise for sale. While founded in 1971, Starbucks didn’t take off until it opened its doors in Seattle’s Pike Place in 1976. There are so many local coffee shops that pop up around Seattle. Throughout the years, the coffee culture has bent and swayed, depending on the popular shop of the day. Many offer exquisite espressos and lattes with art, while others stick to their roots and offer coffee at its finest, no art required. Each shop varies in style and expression while delivering a sense of warmth and comfort when you get a whiff the coffee aroma. Sidewalk Bars – Sidewalk bars offer limited brew techniques, which is perfect for those who are in need of a quick coffee fix. Be sure to know what you want to order before getting to the front to ensure faster service for you and those behind you. Many sidewalk bars have at least a few umbrella-covered tables making it a great spot for those who like to people watch. The ‘Second Office’ – This coffee shop is a great spot for those independent contractors who want to get out of the house or office. These shops provide plenty of power outlets, seating, and usually all-day food menus. Providing a mix of brews and foods to choose from, ordering here is a cinch (and plenty delicious). Get on the good side of the baristas by not bringing in outside food and if you decide to stick around for a bit, it’s a good practice to purchase something new every two hours or so. 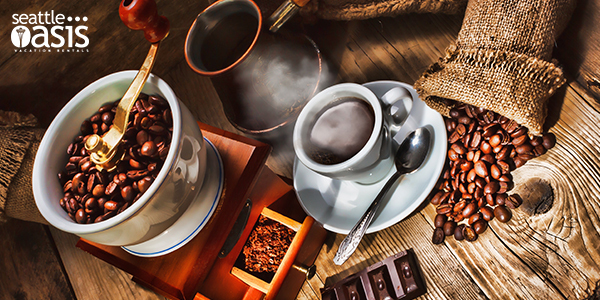 The Multi-Roaster Specialty – When a shop offers multiple ways of roasting your coffee, you have found the ‘it’ space for coffee connoisseurs. Specialty brews methods offer delicious outcomes, but can be a bit pricey. With that being said, each cup will have you coming back for more. This is the type of shop that you don’t want to ask for a white chocolate mocha or pumpkin spice latte, but do order a single-origin espresso to expand your palate and impress the barista.